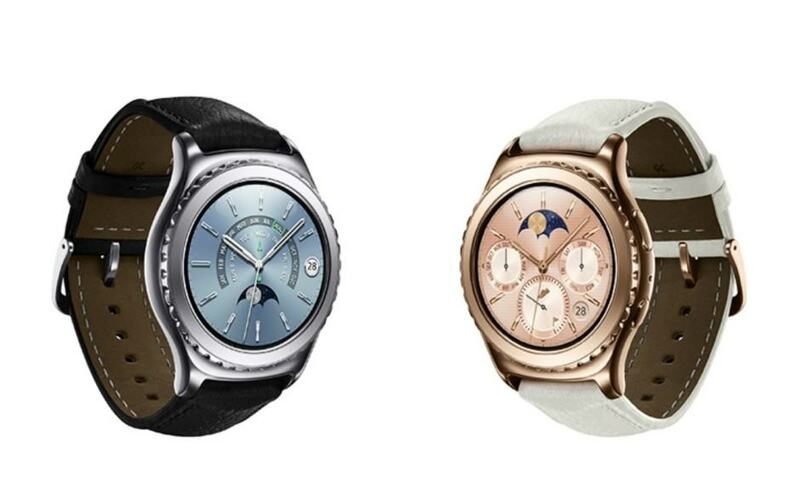 Samsung finally has an answer to the Apple Watch Edition. The South Korean company today added 18-karat rose gold and platinum Gear S2 Classic options to its smartwatch lineup, and they’ll cost you about $9,500 less than a gold Apple Watch. Despite being identical to the original Gear S2 Classic internally, Samsung’s “Gear S2 Classic New Edition” (yes, Edition!) is much more fancy, and will be the first to support Samsung Pay over NFC. It’s also relatively affordable at €480 (approx. $520) each. But there is a catch. Unlike the gold Apple Watch Edition, Samsung’s Gear S2 isn’t made out of solid gold. Instead, both the 18-karat rose gold and platinum models are actually stainless steel watches that have been plated — which is why they’re a lot cheaper. You won’t notice the difference at a glance, of course, but the plated Gear S2 — which sports a 1.2-inch AMOLED display and rotating bezel — will be worth a lot less when the technology becomes obsolete and you want to pawn it. If that doesn’t put you off, you can pre-order the new Gear S2 Classic today if you live in Europe. It is expected to arrive in the U.S. soon.